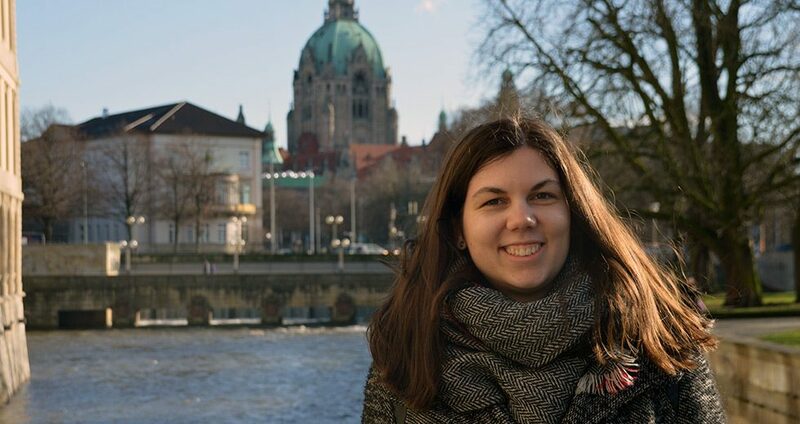 Guided by these verses (and those preceding it), Katalin Szalai, the World Communion of Reformed Churches new intern, sees her year with the WCRC as an important step in her journey with God. Katalin grew up in the Reformed Church in Hungary, attending her local congregation in Szentendre (where her father is currently the leader of the church’s board of elders) and also attending the Reformed High School in town. This led her to first study sociology and then move on to a master’s degree in International Development—Poverty, Inequality and Development “to not only learn about the root causes of the problems in our societies, but also to see how we are able to change them and hence be good stewards of the world that was given to us,” she said. She sees her year with the WCRC as a natural step in her life and career journey: “I knew that I would like to work for a non-profit organization that has social justice among its core values and felt that at the WCRC I could enrich my knowledge of this field and earn practical skills for the future. “The cooperation and communion that the WCRC thrives to achieve among its member churches also spoke to me, as I always believed that in order to achieve significant change, we need to overcome our differences and learn how to love each other through Christ, even in situations when we disagree on certain things,” she said. Katalin will be with the WCRC for the entirety of 2019. The WCRC will select its next intern over the summer to start in the latter half of this year. The WCRC’s internship programme is made possible through contributions by the Evangelisches Missionswerk, Reformierte Kirchen Bern-Jura-Solothurn and member churches.